Regular readers will know I’m writing a book with Doreen Virtue. 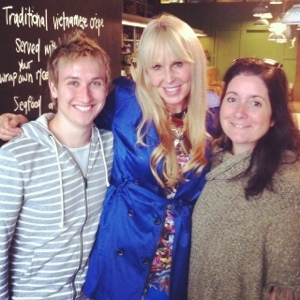 Our efforts are on-going and we met up today for a delicious vegan lunch, with another of her Aussie co-authors, Robert Reeves, whose fab chakra spray you can buy here in our Shop. Lovely time!! 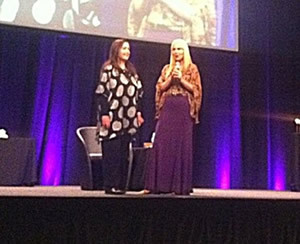 Surreal moment as the marvelous Doreen Virtue invites me up on stage at I Can Do It! and announces that we’re writing a book together, a fact I find miraculous! ? 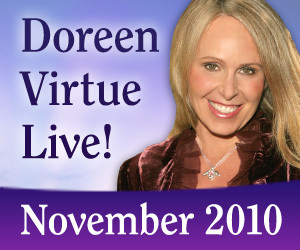 I’m very excited – I’ve just booked and paid for my flights and accomodation up at Coolum for the Doreen Virtue workshop in November. This will be the second time I’ve gone up there for it. I have to admit, I was totally blown away by it. I was expecting to learn “just” about Angels but there is oh-so much more to it. I don’t know what Doreen has planned for her November workshop but last time I went, we also did a lot of intuitive work – I guess that’s why they call it the Angel Intuitive. The audience members would work together on each other and the things which came up were mind-blowing. At the time, I knew I would never believe some of the amazing results I got so I jotted them down in a notebook for reference. I don’t really feel comfortable sharing them as they were other peoples’ private lives that I was intuiting but suffice to say, they were deep, accurate and amazing. If you’re thinking about coming along, I urge to you sign up! I am really looking forward to it. Click here for all the info. 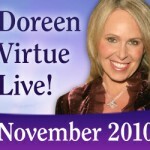 Doreen Virtue really is one exceptional lightworker!